POWERSTATION SOLD OUT! TUNING FORK SHOW ADDED! Last here in January 2016, Philadelphia singer and songwriter supreme Kurt Vile is bringing his Violators back to New Zealand, and the timing couldn’t be better if we’d planned it. 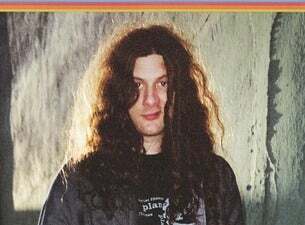 Kurt Vile and the Violators play a now sold out show at The Powerstation in Auckland on April 11, but Auckland fans fear not… a second and final Auckland show has just been announced at The Tuning Fork beside Spark Arena, giving fans a chance to catch Kurt and the lads up close and personal. Wellington fans beware, there will be no second Wellington show, and The Hunter Lounge on April 13 is only a handful of tickets away from selling out! If you haven’t already, get yourself to a record store near you and pick up a copy of Kurt’s best album yet, Bottle It In, out in New Zealand on Matador via Rhythmethod. Bottle It In is the almighty follow up to last year’s Kurt Vile / Courtney Barnett collaboration, Lotta Sea Lice, and features collaborations with Kim Gordon (Sonic Youth), Mary Lattimore, Warpaint’s Stella Mozgawa and Cass McCombs.